The Diamond Mine 11U team had a great weekend of the baseball finishing with four victories and no losses at the Beast of the East Select 30 Super NIT in Morganton, NC. The team started the weekend off on Saturday with 11-5 and 19-2 victores. On Championship Sunday the 11u continued their hot run with a 8-3 victory and then finished off a perfect weekend with a tough fought 11-9 victory in the championship game. The team was able to accomplish this feat in spite of missing two key players for the weekend. It was vital that every player stepped up their game and contributed in the championship run. Congratulations to the Diamond Mine 11u players, coaches and parents for the outstanding weekend. 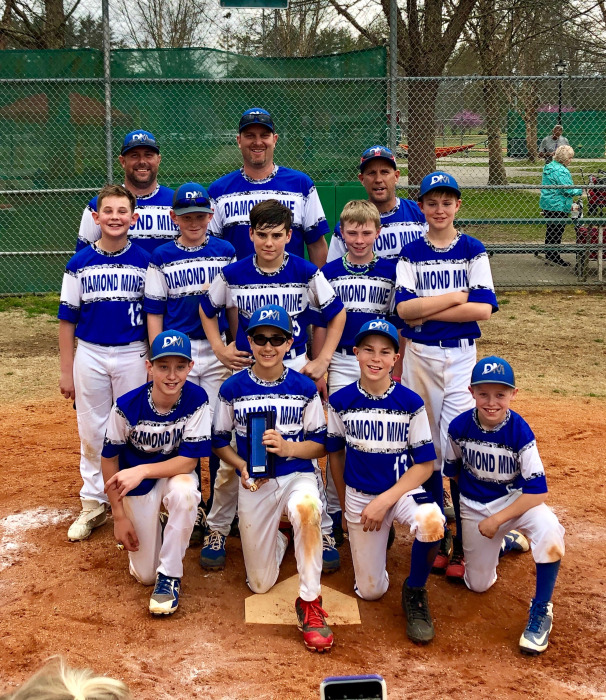 The 11U team will be taking the next two weekends off during spring break and Easter and will be back on the Diamond, April 27th/28th playing in the Big League Classic in the Upstate of SC.